Rarely available at Winston Gate! This 3 level, 3 bed, 2.5 bath spacious townhome is 1,350 sqft and features a large top floor master suite which includes a walk in closet, ensuite and private covered balcony. The middle floor features 2 bedrooms, full bath and laundry room. The main floor has a large kitchen with serving bar and newer countertops. The bright living room has a gas fireplace and opens to a tranquil South facing fenced patio. Updated with durable laminate flooring and includes 1 parking stall & 1 storage locker. Winston Gate is in a central location with the convenience of schools, shopping and restaurants just minutes away. 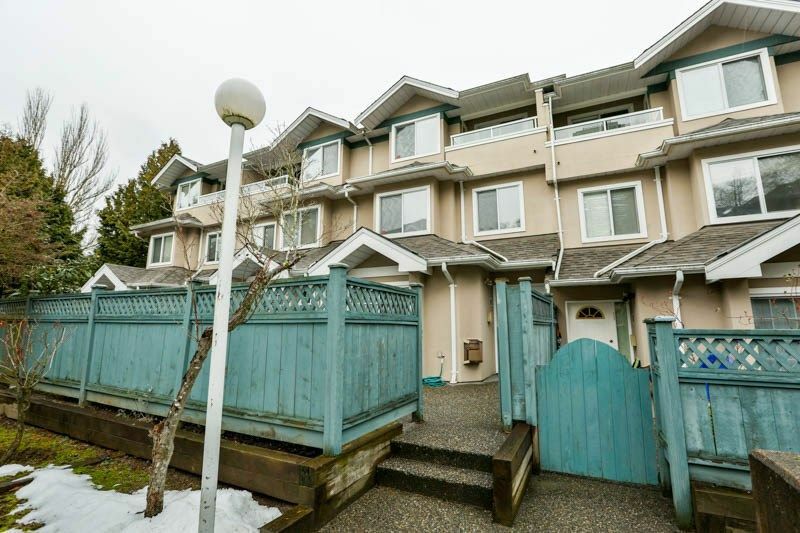 Only 2 blocks to Edmonds Skytrain Station! Don't delay!